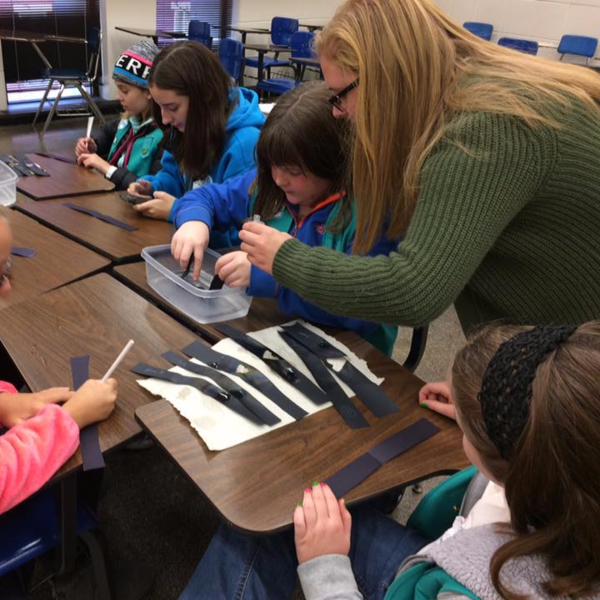 Girl Scouts of Kentucky’s Wilderness Road is looking for women in science, technology and engineering fields to help with Girl Scout STEM programs, which include a variety of STEM learning experiences for K-12 girls, including an afterschool enrichment series, one-day STEM events, robotics and Outdoor STEM Adventures. Girl Scout STEM programs are designed to improve girls STEM skills and confidence and increase their awareness and interest in STEM careers. A 2012 study by the Girl Scout Research Institute found that only 46% of girls know a women in a STEM career. Girl Scout STEM programs provide an opportunity to girls to meet and talk to women in STEM jobs so that they can begin seeing themselves as future scientists, engineers and mathematicians. There are numerous volunteer opportunities to fit busy schedules, including weekday, weekends and summer. We also train volunteers on how to guide girls through hands-on STEM learning activities. For more information, contact Cindi Griffith, Volunteer Leadership Director, at cgriffith@gswrc.org.